Heritage Auctions showcase staged on February 19. Denise Eliopulos pensively listened to the auction chant, her hands clutching a framed photo from her wedding two decades earlier. On the block was a nearly two-century-old, red canvas-carved couch plucked from the lobby of the Adelphi Hotel. She had seen the item advertised among the dozens being sold at Ralph Fontaine’s Heritage Auctions in Canaan on Feb. 19, and instantly recognized it as the couch where she posed for a photo with her grandfather at her wedding reception in 1994. The photograph was among her favorites. And the couch was a piece of nostalgia that she simply wasn’t willing to let go without a fight. The bidding started at $1,000, but quickly dropped. Less than 30 seconds later, Eliopulos bid $475, an offer that would stand. “You got it,” exclaimed Ray Fontaine, the owner of the auction house, as the crowd of bidders erupted in a round of applause. Eliopulos, a Saratoga Springs resident and owner of Something Bleu Bridal, couldn’t contain her joy. Aside from its historic value, the couch represented a trove of memories from the Adelphi that she cherished. She knew the hotel’s former owners, Sheila Parkert and Gregg Siefker, and watched the couple gradually transform the Adelphi from an abandoned structure awaiting demolition into an icon of the Broadway streetscape. The hotel was where she and her then long-distance boyfriend came for drinks and a bite to eat every summer. It was also the place where he proposed to her following an elaborate ruse that involved much of the Adelphi’s staff, and where they ultimately got married a year later. “My heart was pounding,” she said,after winning the couch. Eliopulos was among a handful of former Adelphi patrons who traveled to the Columbia County auction in search of memorabilia from the landmark hotel now in the final stages of renovation. armoires—are being put up for auction, with the Adelphi Hospitality Group donating the proceeds to charity. About 40 items were sold at the auction in Caanan. Adelphi Hospitality is expected to auction off additional pieces at a later date. Bob and Ilene Angarola attended the auction hoping to bring a piece of the Adelphi back to their home. The couple recalled nights at the hotel mingling with dancers from the New York City Ballet. At the auction, they purchased a bench that once adorned the hotel lobby. “Every time I sit on this bench I’ll remember where it came from,” Ilene said. 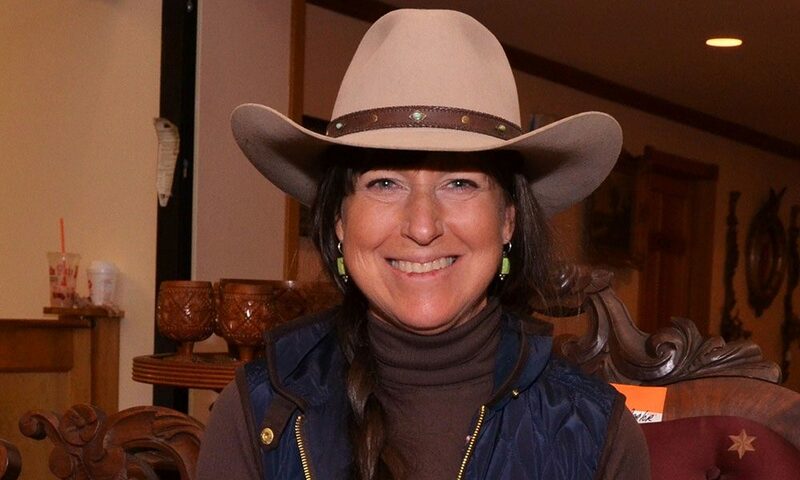 Kimberly Finney, the owner of Saratoga Horse and Carriage Co., came to the auction with hopes of finding antiques she could use at her other business, the Wedding Barn at Lakota’s Farm in Cambridge.